resource for every school in the USA. LiteracyPlanet provides an online education program that is aligned to Common Core and All State Standards in the USA. This comprehensive, engaging resource is proven to improve literacy outcomes for students of all ages and levels. LiteracyPlanet is proud to offer a program aligned to Common Core and All State Standards, ensuring it is the best program to improve English literacy outcomes in students. 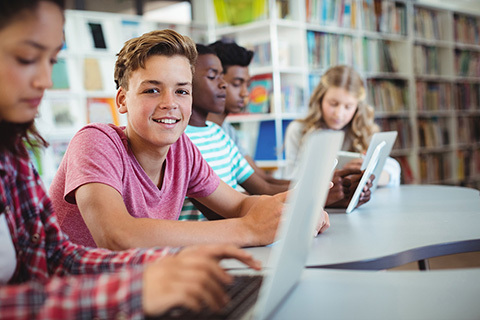 Whether you’re a teacher, tutor or school administrator, LiteracyPlanet’s curriculum alignment ensures teachers have a resource guaranteed to deliver results. LiteracyPlanet also features a useful Curriculum Tool feature that makes it easy for teachers to navigate between standards and find the exercise that’s most appropriate for their class. To learn more about this feature, you can watch the video below, or get in touch with and one of our dedicated Literacy Development Consultants for an obligation-free demonstration. LiteracyPlanet is an online education program dedicated to improving literacy learning outcomes for students in the USA. LiteracyPlanet has exercises for Elementary, Middle and High Schools and is also useful for Tutors and Homeschools.